Norman Augustine is an aeronautical engineer whom I have referred to often in this blog mainly due to his book “Augustine’s Laws” of which I wrote a review (find it here). He started working at Douglas Aircraft Company (1) in 1958, though through his long career he has occupied several positions in the administration and other major aerospace companies such Martin Marietta and then Lockheed Martin (2). The book reviews A&D programs, especially their mismanagement and failures from the Wright brothers times till the early 80′s, when the book was written. The book is hilarious. Some readers may believe I overstate it. 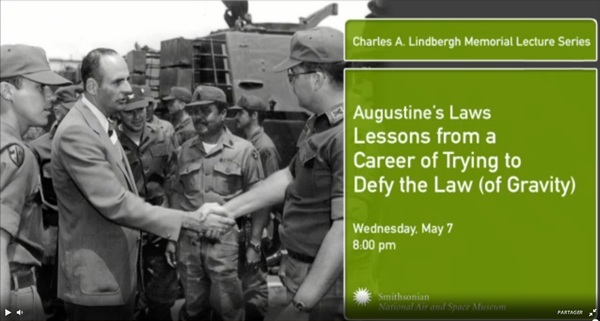 Well, I invite you to watch the lecture he gave 2 days ago at the Smithsonian National Air and Space Museum (3) as part of the Charles A. Lindbergh Memorial Lecture Series. The lecture was titled “Lessons from a Career of Trying to Defy the Law (of Gravity)” [47’59”]. During the lecture he used an update of his law (written in the 80’s) made by The Economist a few years ago which I covered also in this blog (4). 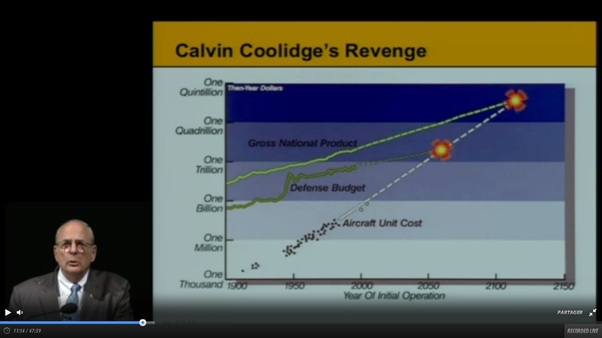 Other topics covered by Augustine during the lecture include: the importance of thinking with a systems point of view, the evolution of aerospace industry in the last decades, the importance of strategy and leadership, all covered by his fine humor and wit. (1) You may read here a tribute I wrote about Douglas Aircraft Company. (2) Some years ago I wrote this post about Lockheed’s Skunk Works. (3) You may find here a post I wrote about my visit to the Smithsonian National Air and Space Museum at Dulles. 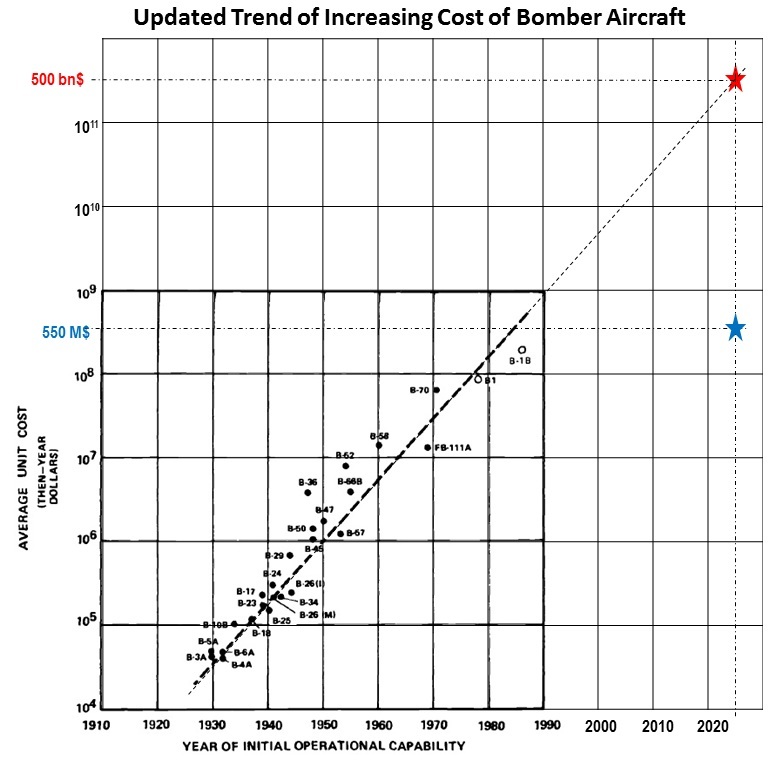 (4) I few months ago I wrote another post reviewing the application to bomber aircraft of Augustine’s Law IX with new US long range bomber program. 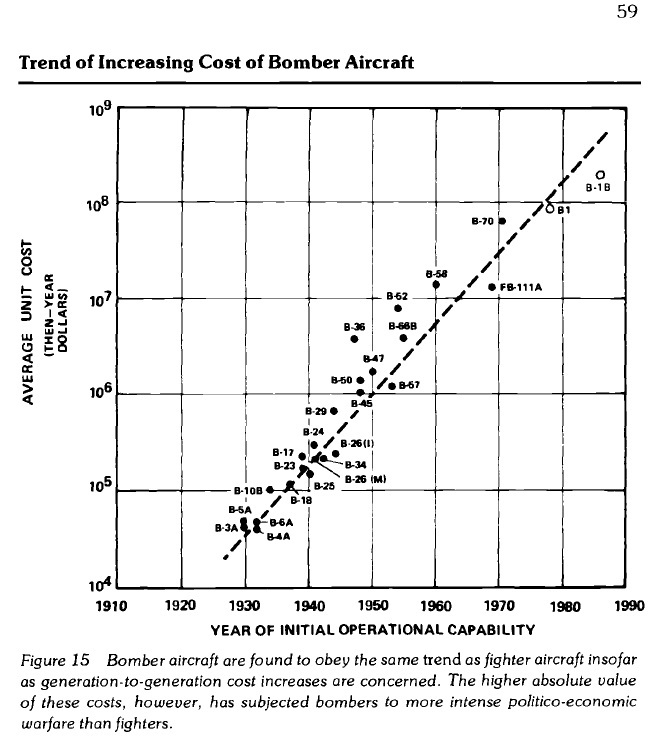 In his book Norman includes an extrapolation as well of bomber aircraft increasing costs, even if the wording of the law takes tactical aircraft as the benchmark. La semana pasada, con motivo de la celebración del día de la Hispanidad, el diario ABC publicaba una entrevista al ministro de defensa, Pedro Morenés (“Morenés: “Me preocupa el adiestramiento de las Fuerzas Armadas”“). El portal InfoDefensa hacía referencia a dicha entrevista en la siguiente entrada, “Morenés: “Vamos a reforzar la industria de Defensa desde Navantia a Indra”“, donde además incluía unas declaraciones que no aparecen en la edición digital de ABC. En ellas el ministro habla de la necesidad de consolidar la industria de la defensa española para competir con las grandes empresas del sector: Lockheed Martin, Boeing, BAE, etc. La anécdota de Weinberger (sic). “Cuando el señor Weinberger dijo a las cincuenta y tantas empresas de Defensa que había en EEUU, o más, “el año que viene por estas fechas, cuando yo les invite a cenar en esta mesa en la que hoy hay ciento y pico personas, va a haber doce. Arréglenselas ustedes como puedan”. Les dio un mensaje muy claro. Al final hubo 12. La cena no fue con Weinberger como secretario de defensa (1981-87), sino con Les Aspin en 1993. No fue el secretario de defensa (entonces Les Aspin) sino William Perry (subsecretario entonces, y que posteriormente fue secretario de defensa) quien dijo aquello. No había ciento y pico personas que luego pasaron a 12; sino 12 en la cena que luego pasaron a 5 (representando a Boeing, Northrop Grumman, General Dynamics, Lockheed Martin, Raytheon); por eso de que a la mesa iban 12 lo llamaron “última cena”. 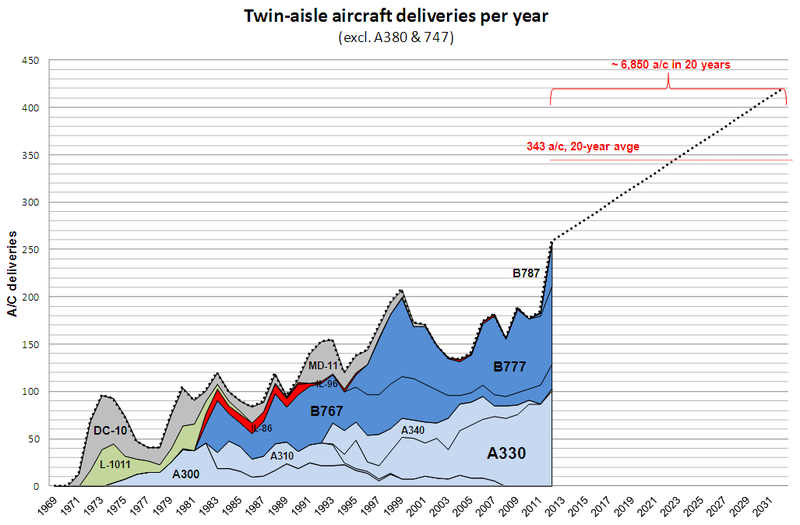 The changes now occurring began in the early 1990’s. Industry executives recall the famous ”Last Supper,’‘ a 1993 Pentagon dinner whose host was Les Aspin, then Secretary of Defense, and his deputy, William J. Perry, who succeeded him. At the dinner were executives from a dozen contractors who were told by Mr. Perry that there were twice as many military suppliers as he wanted to see in five years and that the Government was prepared to watch some go out of business. From 1992 to 1997, a total of $55 billion in military-industry mergers took place, according to Securities Data Company, a research concern in Newark. Quiero pensar que el ministro Pedro Morenés conoce bien la anécdota, y fue el periodista de ABC el que escuchó algo y no se enteró, y más tarde, en la redacción, la reconstruyó como quiso sin comprobar datos en ninguna fuente… raro es que no acabase atribuyendo la anécdota o cita a Wiston Churchill o Mark Twain. Entrada del blog donde se pueden ver unas gráficas del proceso de consolidación que siguió a la última cena de 1993.